Cosmopolitan: If you’re looking for a real adventure for your next holiday, you may want to consider booking up one of these epic cliff-side pod rooms. Because just booking a standard hotel room in a standard building in a standard city is pretty, well, standard these days – and does nothing for your Instagram grid, may we add – hotels and private lets are trying to get more and more interesting to bag your business. And what could be more exciting than spending the night suspended over a 1,200ft drop, waking up to unrivalled and unspoiled views of the cliff-side scenery? 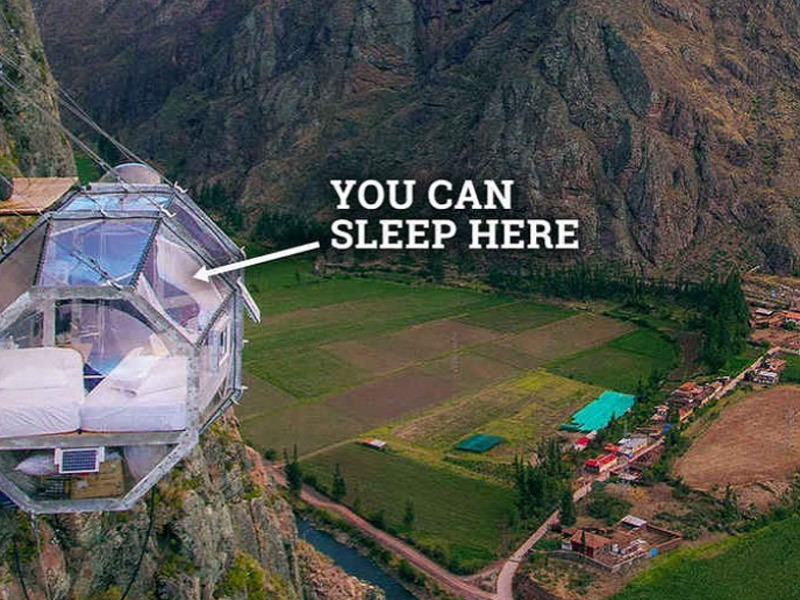 Skylodge Adventure Suites in Peru offer just that, with their glass pod accommodation which can only be reached after a mountain trek. Now that’s remote.